Meaningful labor has high return on energy ROE. 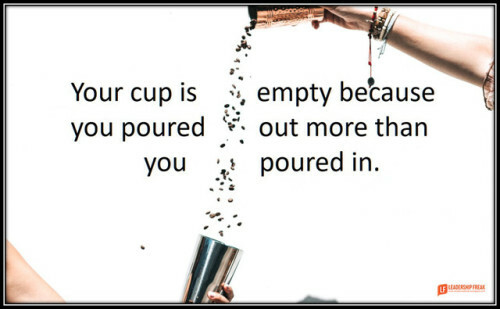 If you’re busy and your cup feels empty, you’re doing the wrong work. Rest might help a little, but it’s not the answer. Tony award-winning musical Dear Evan Hansen tackles mental health issues, anxiety, suicide, and grief in a very thought-provoking way. Cast members Taylor Trensch and Alex Boniello sit down to discuss the show’s hopeful message, overwhelmingly positive fan response, and partnerships with various mental health charities. Just recently, a critical flaw that researchers from security firm WordFence described as “one of the worst WordPress related vulnerabilities to emerge in some time,” resulted in the defacement of more than 1.5 million sites. As predicted, video has risen in the ranks to become the medium of choice to distribute content and increase engagement rates online. Let’s look at the top ten trends video marketing can rightly claim in 2018. Growing up in a small town, leaving said small town, and then having to explain where you’re from to curious people you encounter for the rest of your life is exhausting. Sure, people are mostly familiar with the 50 states, but when someone asks “Where are you from?” they usually want specifics like towns, noteworthy landmarks nearby, etc. Trying to explain geography to someone completely unfamiliar with an area is tough, and finally, Twitter users have found a way to accurately illustrate the frustration associated with describing your place of origin. As large-scale cyber attacks become more prevalent, Virtual Private Networks, or VPNs have been gaining in popularity as a way to make online interaction safer. Have you created great content and are now wondering how you can get as many eyeballs on your content as possible?